Home > News > First Fish for Big 5 Competition Would Have Been a WORLD Record! First Fish for Big 5 Competition Would Have Been a WORLD Record! The much awaited start date for the Adreno Big 5 Spearfishing competition has come! On Friday February 1st the competiiton kicked off, just in time for some lucky spearos to start hunting down their targets over the weekend. A great first fish for the BIg 5 competition! The first fish has now been weighed in for the Big 5 competition! 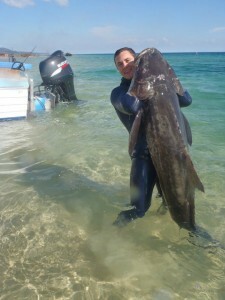 Brisbane diver and holder of the Australian Record for Cobia, Jake Limov, braved the horrible visibility, and bull-shark haven, of Moreton Island just one week after some devastating floods tore through Queensland and New South Wales. While he was only in the water for a few minutes, his persistence paid off when he landed this 16.1kg Golden Trevally! A great first fish for the competition, earning him 460 points. 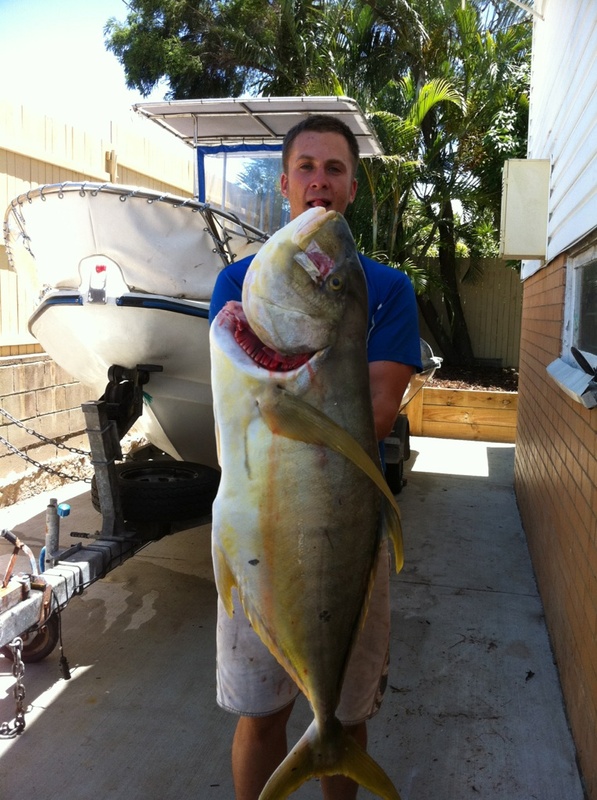 After a quick check of the World Record for Golden Trevally, we also found that Jake's catch would have beaten the current World Record of 15.4kg, held by Cameron Kirkconnell! Congrats on a great fish, Jake. Jake is no stranger to record-breaking fish. 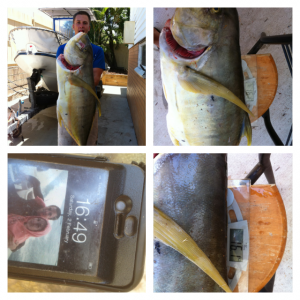 He landed this massive, Australian Record 49.5kg Cobia off Moreton in 2011!